We are offering free-range Standard White Turkeys that are raised on pasture and fed non-GMO grains. These turkeys are excellent foragers, and therefore the pasture-based diet really influences the flavor and quality of the meat. Known for having a generous amount of white breast meat, this turkey will make an excellent centerpiece for your Thanksgiving meal. The turkeys are generally 15-24 pounds and the cost is $5.75 per pound. Our Turkeys will be sold FROZEN and will require defrosting. Contact us at patspasturednews@gmail.com for more info. 1. Why are our turkeys sold frozen? 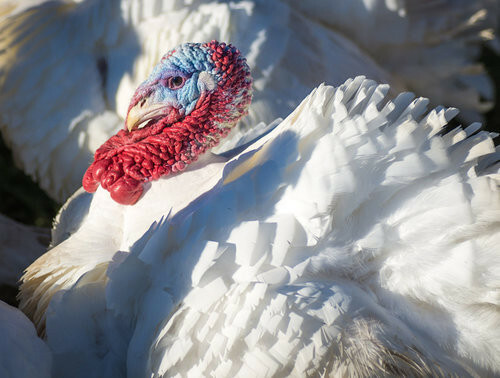 The cold November temperatures result in cold turkeys, which may cause our happily pastured turkeys discomfort and the possibility of even catching pneumonia. We love our turkeys. We want them to be healthy and unstressed, so we’ve elected to raise them during comfortable weather and process them at the end of October. 2. Isn't a fresh turkey better? You may be thinking, the supermarket offers fresh turkeys, why can’t Pat? The majority of the turkey raised for Thanksgiving are routinely kept slightly frozen, in what is called a ‘soft freeze’ at 28 degrees for up to 6 months and then sells them as “fresh” in the market. These so-called fresh turkeys have been sitting around for many, many days. From the processing, trucking to the grocery store, and then in the grocery store. Our frozen turkeys are fresher turkeys! 3. Does pasture diet effect the flavor of the meat? 4. Do your turkeys receive any antibiotics or hormones? 5. How are your turkey's processed? We do all our own processing on our farm in the most humane way possible. 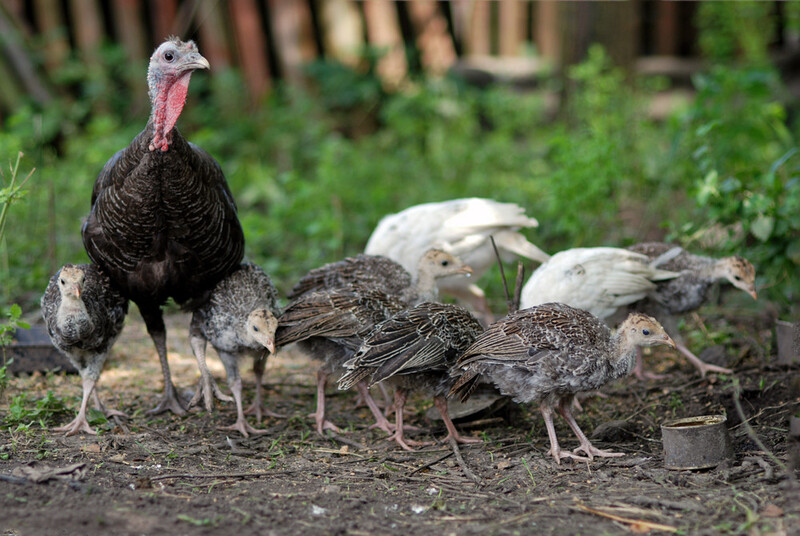 By purchasing our pastured turkey, hard frozen late in the season, raised in wonderful conditions and stabilized in the freezer until Thanksgiving, you can be assured that your bird was loved and nurtured, and now it nurtures your family. Turkeys must be kept at a safe temperature during "the big thaw." While frozen, a turkey is safe indefinitely. However, as soon as it begins to thaw, any bacteria that may have been present before freezing can begin to grow again. 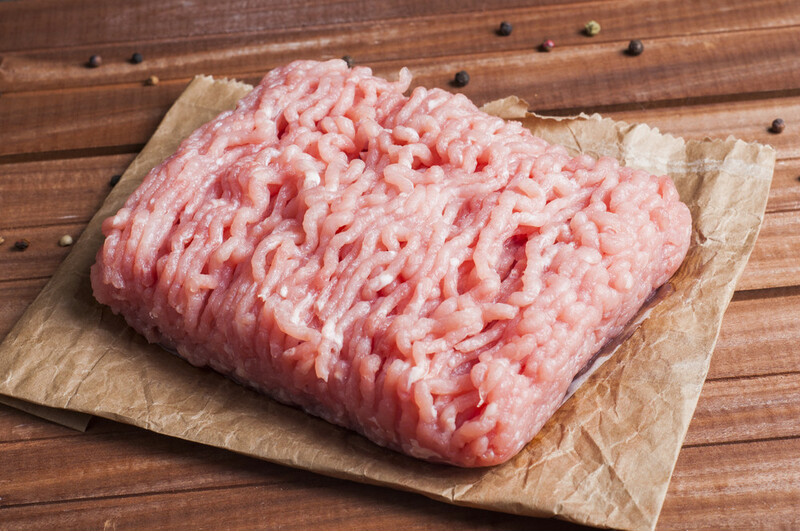 A package of frozen meat or poultry left thawing on the counter more than 2 hours is not at a safe temperature. Even though the center of the package may still be frozen, the outer layer of the food is in the "Danger Zone" between 40 and 140 °F — at a temperature where foodborne bacteria multiply rapidly. 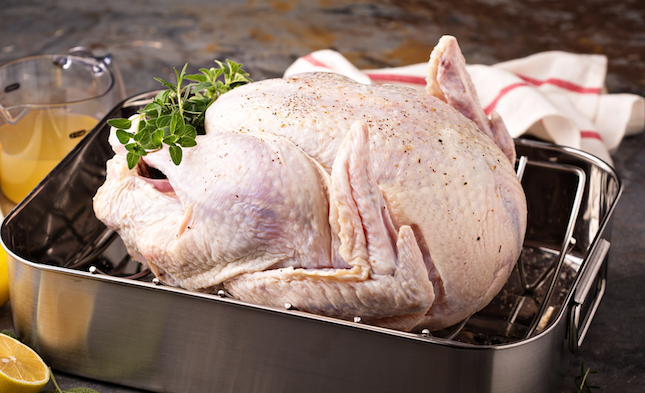 ing up your Pat’s turkey, take the frozen turkey home and store it in the freezer. Frozen turkeys should not be left on the back porch, in the car trunk, in the basement, or any place else where temperatures cannot be constantly monitored. When thawing a turkey in the refrigerator:Plan ahead: allow approximately 24 hours for each 4 to 5 pounds in a refrigerator set at 40 °F or below.Place the turkey in a container to prevent the juices from dripping on other foods. Allow about 30 minutes per pound. First be sure the turkey is in a leak-proof plastic bag to prevent cross-contamination and to prevent the turkey from absorbing water, resulting in a watery product. Submerge the wrapped turkey in cold tap water. Change the water every 30 minutes until the turkey is thawed. Cook the turkey immediately after it is thawed.